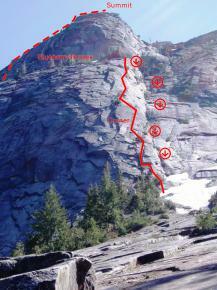 Exfoliation Dome is a seldom climbed peak with a tricky to find trailhead. 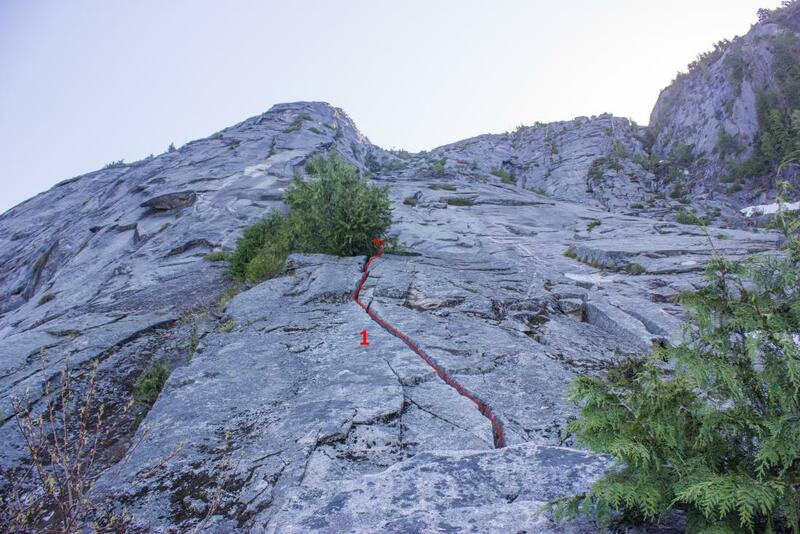 Note: As of lately this climb is considered unsafe. Lots of flakes have been falling, and sounds like they consistently fall. It's not worth the risk. High clearance vehicle required. 26 minutes of dirt road driving. Follow the Google Maps directions to the road fork (48.1619, -121.6000). This will take you on Frog Creek Road (FR 2060). You'll need a mid-clearance vehicle to get through this section of road, as there's two washouts (you'll later need a high clearance vehicle, but that's only for the final half mile which you could walk). At the turn off, take the left road (this is actually still FR 2060 even though it seems smaller and isn't on Google Maps). Continue on that for about 6 more minutes. You'll encounter one difficult to cross wash that'll require high clearance to get through (you could park just before it and walk the remaining 0.5 miles). Then you'll cross a second wash and you'll immediately find parking on the right for 4 vehicles, with a nice fire pit and a good view of the valley on the right. Park here (48.1434, -121.6065). As of May 13, 2018, there's a tree blocking the road a mile before the trailhead. A capable true 4WD high clearance (like a lifted Toyota 4Runner with 32" tires) can easily drive over it, but Subaru's wouldn't be able to. It's about 1.5 feet in diameter. Trailhead (48.1433, -121.6064): Just about 10 yards past the parking area, you'll find the trail cutting up into the forest on the left side of the road. In about 10 more yards up the forest, you'll run into a pit toilet with some wood acting as a fence. That's the start of the trail! For the first half of the trail (0.3 miles, 500 ft gain), stay in the forest, remaining climbers left when in doubt. There's a path through the forest that's usually visible. This part is decently steep, but pleasant. No bushwacking or anything! This part took us 30 minutes to get down. 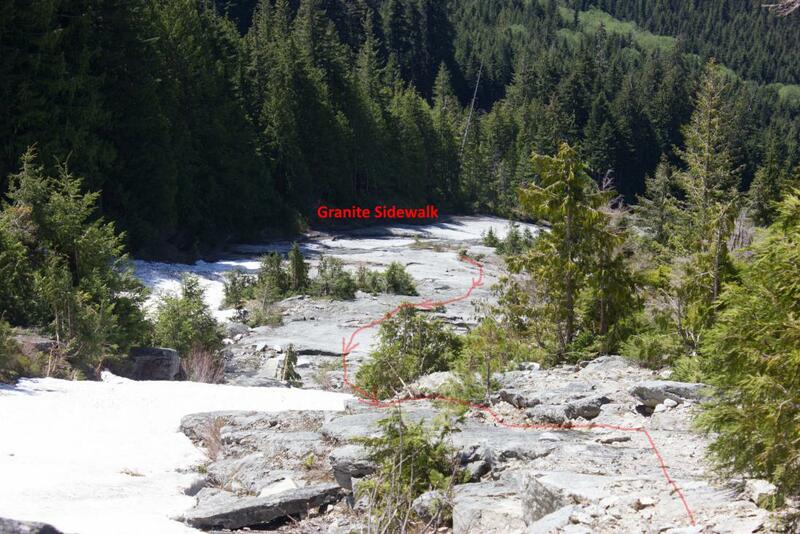 Eventually, the trail should lead you out onto the "Granite Sidewalk". You'll have to go through some brush to get to it. Cross the pool over to the climbers left of the Granite Sidewalk (48.1431, -121.6015). 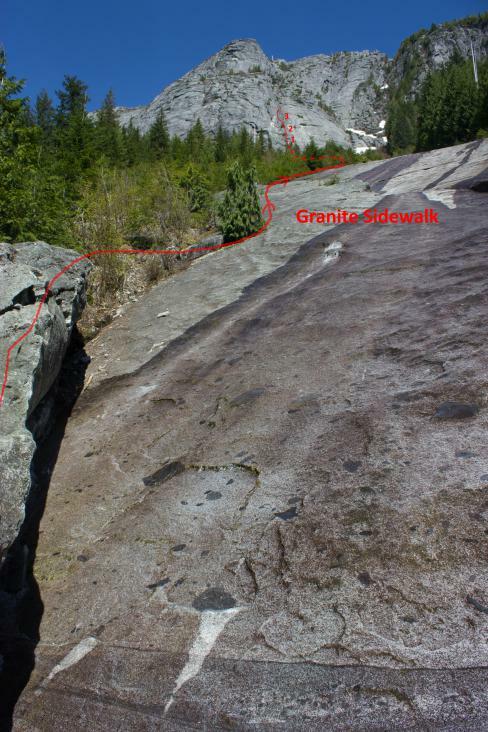 The second half of the trail (0.3 miles, 777 ft gain) goes straight up the steep and smooth granite sidewalk (stay on the climbers left side typically). It's very steep with scary consequences, but the granite is actually quite grippy. 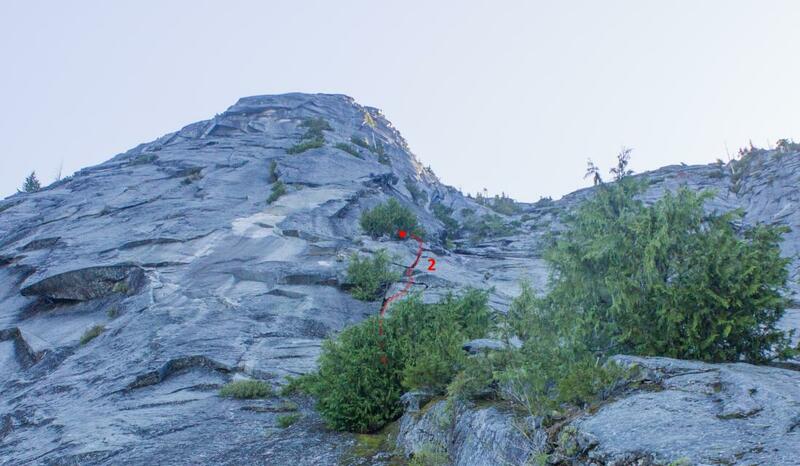 You could always put on your climbing shoes for additional traction. Do not try to find paths through the side brush... just trust yourself and walk on the granite, it's much better than anything you'll find in the side forest. Towards the climbers left at the top you'll come to the base of the climb. Coming back down this took 1:12 hours. 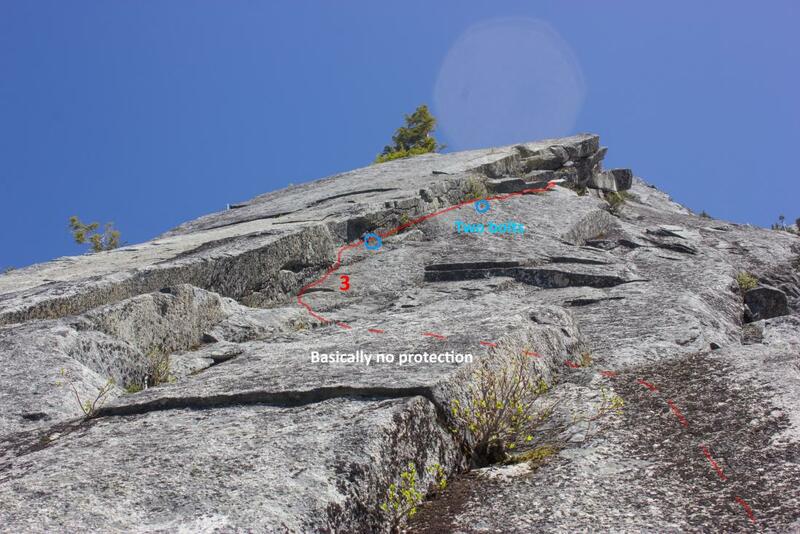 Starts up a wide off-width unprotectable crack, but easy 5th class climbing. A bit more enjoyable climbing. Unprotectable moves to get to the left corner. Can get in a couple poor nuts, not confidence inspiring. Feels like close to a 5.10 move to get to the left corner. We stopped after this. There's a flake that's fallen but is held together with a sling, and apparently more loose flakes above. Plus we were running out of time since we initially took the wrong approach on the trail and wasted tons of time.